Special “Behind the Scenes Tour” of the production of “Noah”. Please arrive at 12:30 pm; tour begins at 1:00 pm and lasts 1 hour. Behind the Scenes pass available with purchase of regular season ticket. A million watts of lights, sixty-thousand watts of sound, a massive stage over twenty-thousand square feet in size that wraps around the audience on three sides and four-story tall set pieces towering right in front of you. Welcome to your exclusive backstage access to everything that happens behind the scenes. Each production is intricately created—from the finely-stitched costumes to the grand staging of massive sets. Meticulous attention is given to every detail as they magnificently come together to transport you right into the heart of the story. 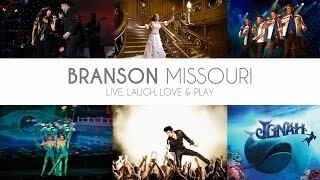 There are hundreds of good reasons you should bring the entire family to see a Branson show, but sharing with them the spectacular production of “Noah” is all the reason you'll need!